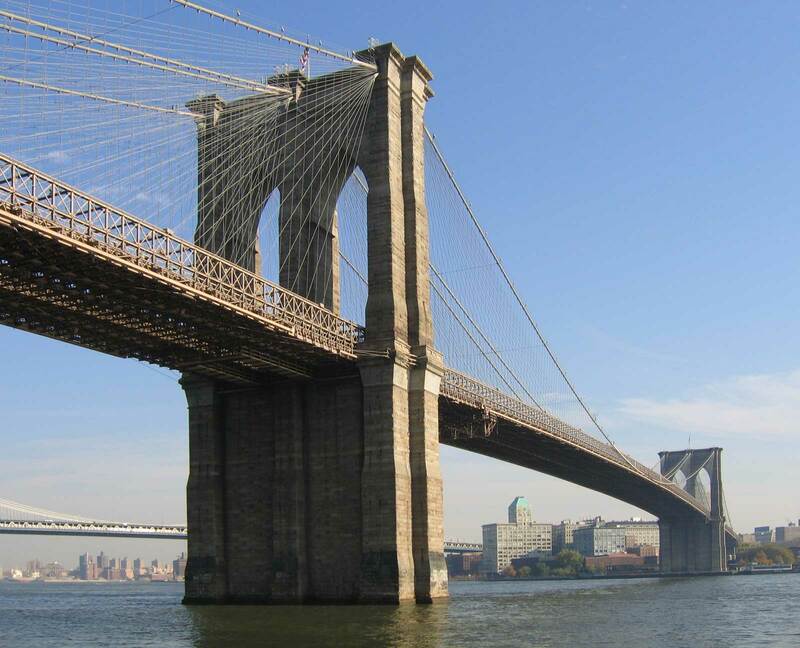 Are you looking for authentic New York Pizza in the Mile High City? 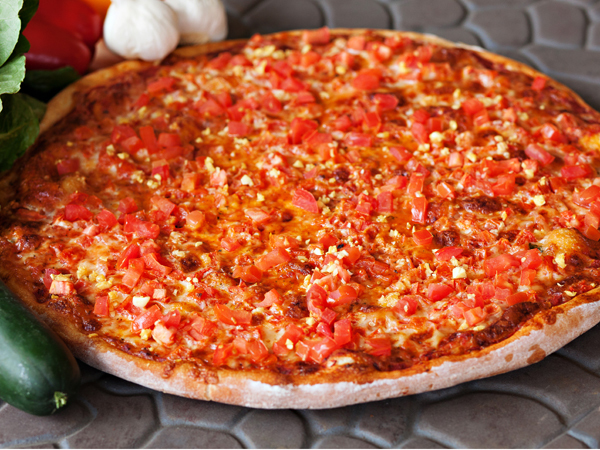 Come get to know us at Brooklyn Pizza, where we are committed to combining the freshest ingredients with indulgent pizza combinations in order to offer you delicious vegetarian and kosher fare with an East Coast flavor. 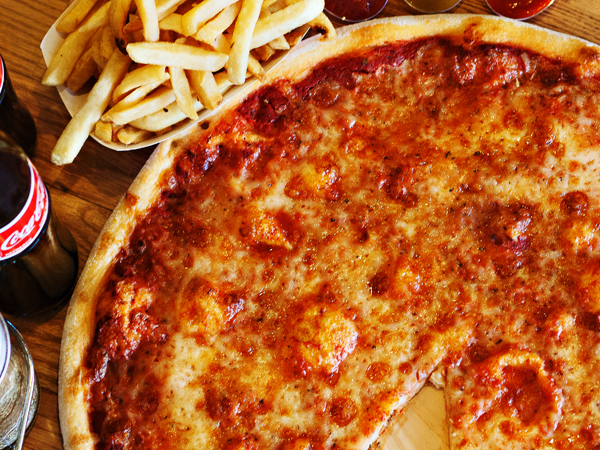 Pizza flavors may come and go, but there is nothing like the traditional taste of our classic cheese pie. We combine our hand tossed dough, homemade marinara sauce and our special mozzarella cheese to bring you the ultimate in comfort food. 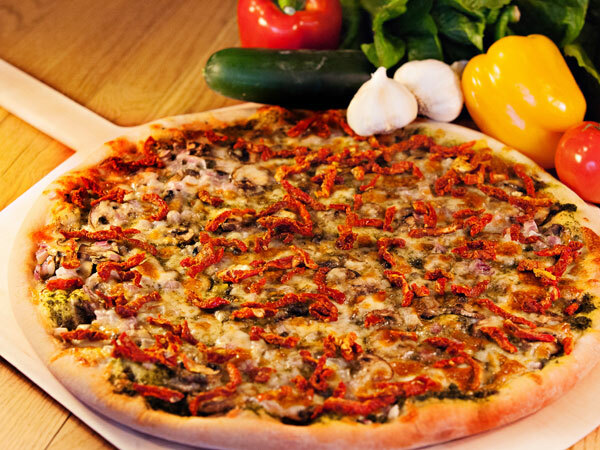 A veggie pizza lover’s dream, the Crown Heights starts with our hand-tossed crust and homemade marinara sauce. 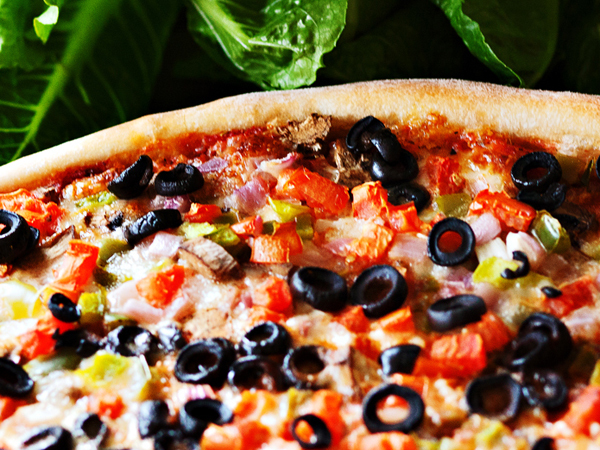 Then we pile on fresh white mushrooms, ripe tomatoes, diced onions, green peppers, succulent black olives and mozzarella cheese for a mouthwatering, fresh taste. 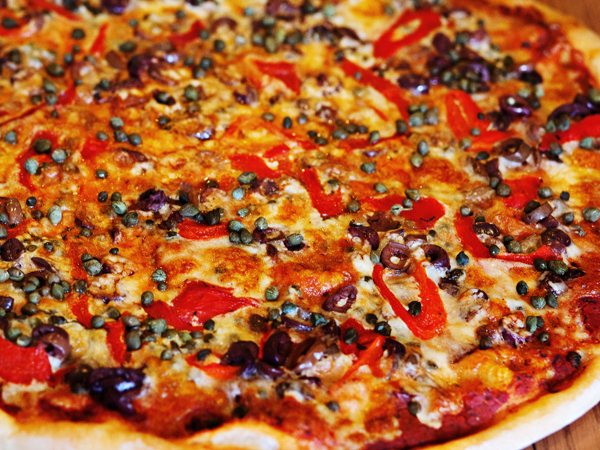 The innovative Sheepshead Bay takes our homemade marinara sauce, adds enticing kalamata olives and flame-roasted red peppers and is complemented perfectly by a sprinkling of tangy capers. All that is topped by delicious mozzarella and baked to perfection. A new twist on an old classic, the Flatbush adds ripe, red tomatoes and fresh garlic to our already mouthwatering Coney Island. A New York speciality, you’d be hard pressed to find a pizza store in Brooklyn without a classic white pie. 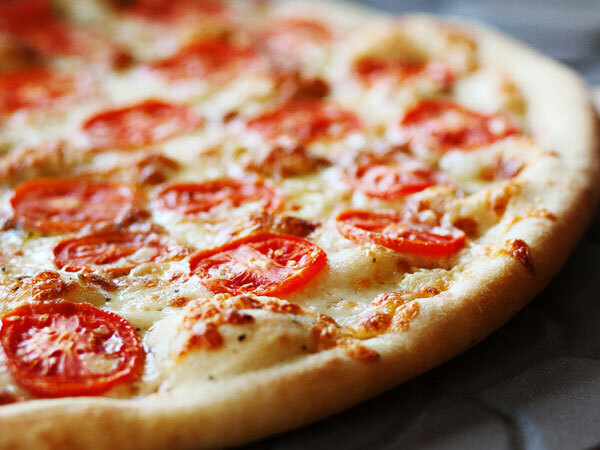 Incredibly rich, we combine garlic infused olive oil, oregano, and mozzarella, then top with fresh, ripe tomatoes, for a decadent taste experience. 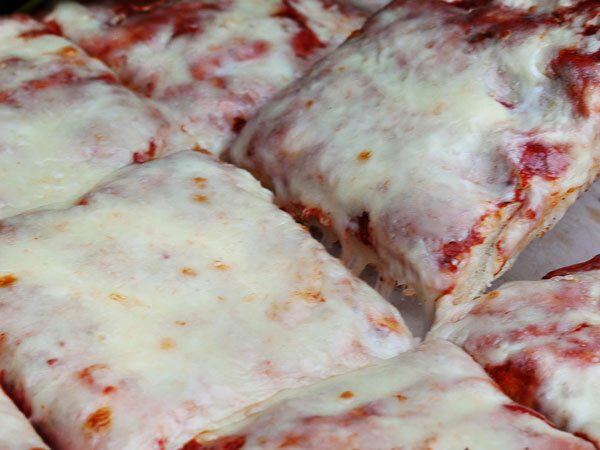 Also called a Sicilian pie, this square-cut pizza features a thick, chewy crust. 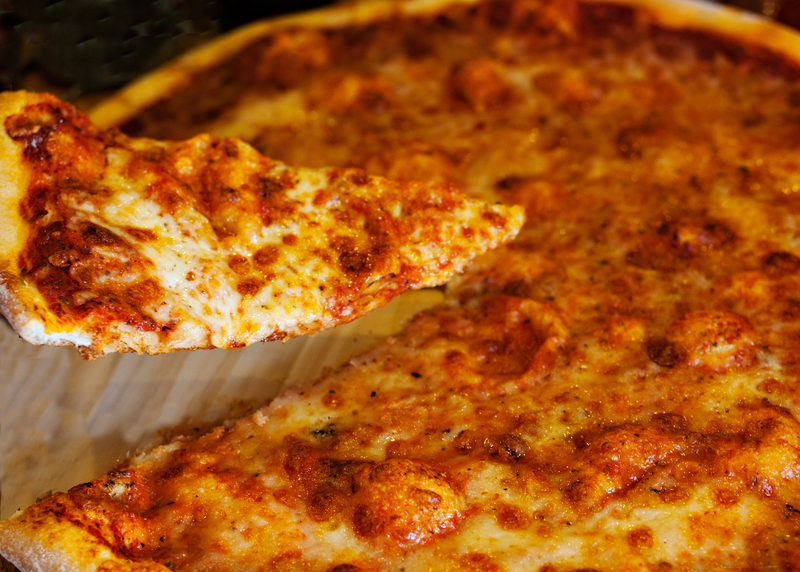 It is slathered with our homemade Marinara sauce and special spices, then topped with a layer of tempting mozzarella cheese. At Brooklyn pizza there are no limits to our imagination! 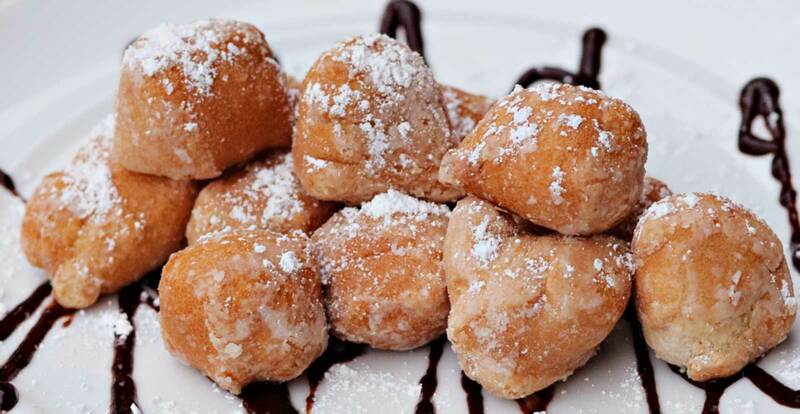 The Boro Park starts with a specially made Barbecue sauce on our hand tossed dough. Then we add fresh mushrooms, diced red onions, a sprinkle of parmesan cheese and a layer of mozzarella. 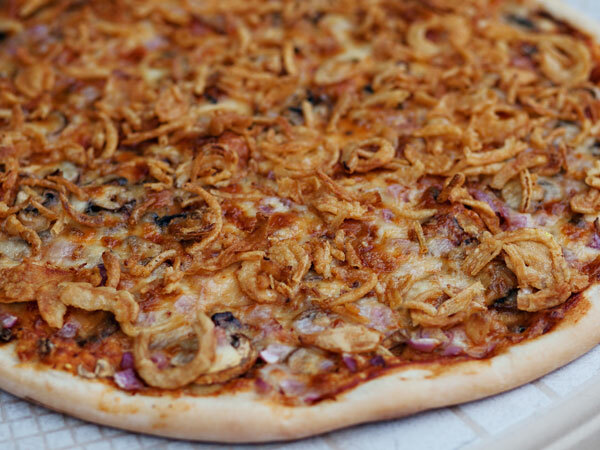 We top all of that with fried onions for a satisfying crunch. With its famous pier, Canarsie is a great place to visit, and its namesake is a great pie to try! Hand-tossed dough, covered with homemade basil pesto sauce and sprinkled with red onion, sliced white mushrooms, and chopped sun-dried tomatoes, and finally, topped with mozzarella cheese and baked until golden. 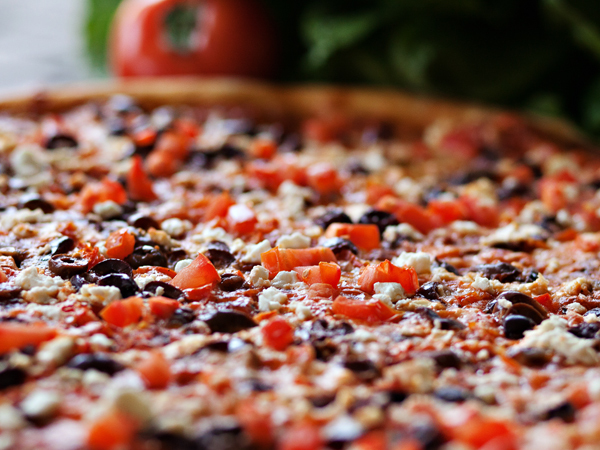 The Greek inspired Williamsburg adds fresh tomatoes, tempting kalamata olives, oregano, and rich feta cheese to our homemade marinara sauce and mozzarella cheese for a fresh twist on pizza! 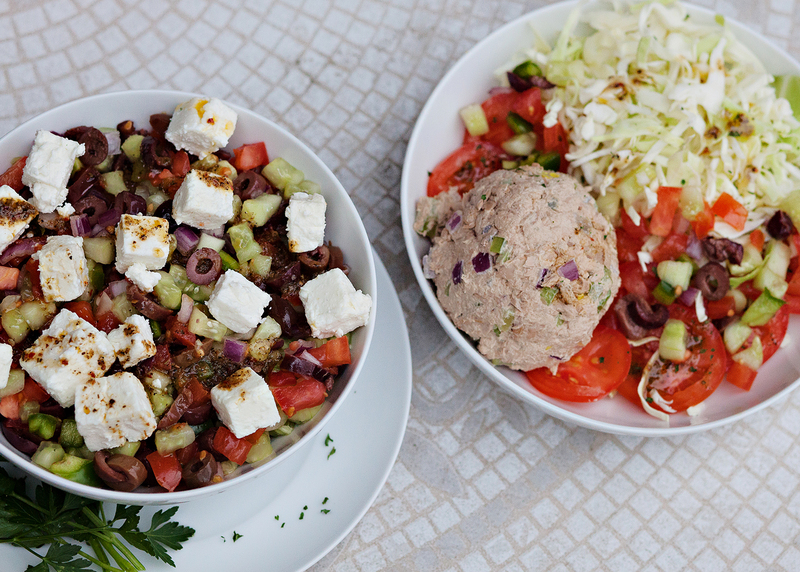 View the rest of our menu here.